It’s getting colder and winter is fast approaching, which means it’s time for us to make the shift from sun and sand to ice and snow. Of course, that also means that it’s time for winter sports soon! Now that the weather is shifting, people are looking for more active holidays, ones that are suited to the cold. Skiing holidays from companies like Iglu can be a fantastic way to see some stunning sights, and the world has plenty of prime skiing destination, with Austria being easily one of the most popular. In fact, Austria is open for skiing at this time of year, so now’s your chance to experience it for yourself! However, a skiing holiday doesn’t have to be all about swooping down snowy hills. There are plenty of other activities that you can enjoy, ideal for people that aren’t enthusiastic skiers or for people simply looking for a diverse and enjoyable trip away. A fairly new addition to winter sports, snow scooting lets you ride through the snow at high speeds. It’s an excellent alternative to skiing and a must for any adrenaline junkies out there; it’s basically a bike combines with a snowboard! Ever wanted to fly? Paragliding is probably the closest we’ll ever get to having wings, and what better way to see the country you’re visiting than by gliding over it? Soar though the mountains and take to the skies for a truly memorable experience, one that’s fast becoming one of the most popular non-skiing activities. 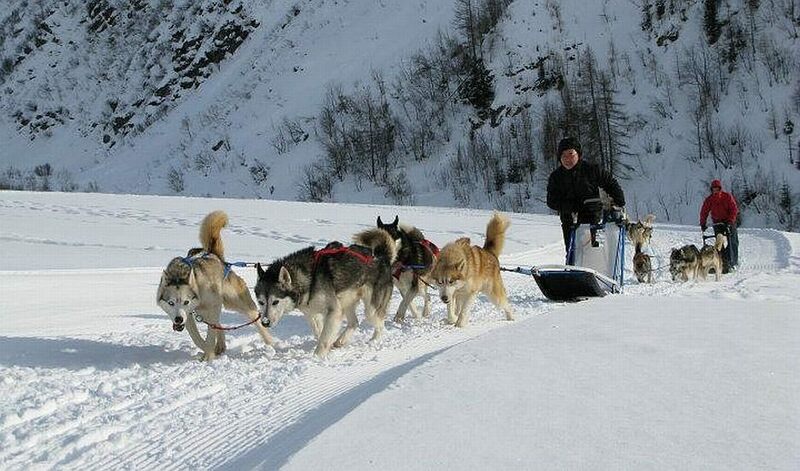 Definitely one for dog lovers, a husky ride gives you the chance to sit back and relax under a warm blanket and get mushing. Some places will even give you the chance to ride them yourselves! 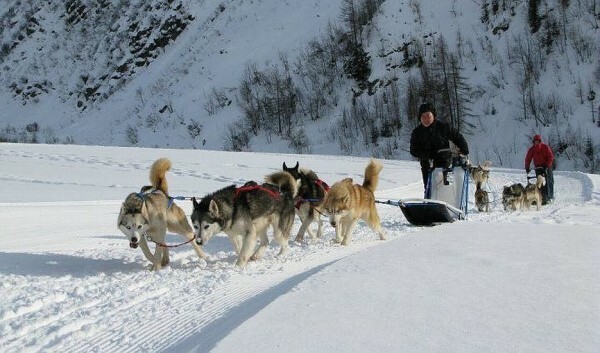 Either way, husky rides is an adorably great way to get around and take in the natural beauty around you. For something a bit more relaxed, snow sculpting gives you the chance to explore your creative side and play around with nature’s raw materials to create your own art. You don’t have to be a Picasso to enjoy this, it’s more about the fun of expressing yourself. Build a snowman or give ice carving a try and see what wonders you can create. The best thing is that if you don’t like it you can start again. What are your favourite non-skiing activities to take part in when you’re away in a winter wonderland? Share your ideas with us!